Tracheal collapse is a concern for many pet owners who wonder whether or not dog collars or dog leashes can actually cause tracheal collapse in their pet. The answer to that question is not cut and dry; there are many factors that can affect what damage, if any, a collar can have on a dog’s trachea. Let’s take a closer look at what factors can influence the possibility of tracheal collapse from collars, as well as what to do if you are concerned. Tracheal collapse occurs when the cartilage rings from the trachea become misshapen, or “collapsed,” causing breathing difficulties which can become serious and even fatal if not treated. There are several factors which can influence whether or not a collar may cause tracheal collapse. Obese dogs are at a higher risk for tracheal collapse than dogs that are not obese, due to the added pressure that the extra fat puts on their body. Some breeds of dogs—and certain genetic lines within those breeds—are more prone to having softer, more easily damaged cartilage rings in their trachea than others. Typically, smaller breeds have weaker cartilage rings which means they are more susceptible to trachea collapse overall; it also means they are more susceptible to collapse caused by an external force, such as a collar. Dogs who do not know how to work properly on a leash—that is, loosely without running and tugging themselves—may be hurt when the collar pulls tightly against their neck, which puts pressure on their cartilage rings. Thinner, harder collars may cause more damage to the trachea than collars which are wider and made with softer materials. Some people recommend using wide, soft, padded collars on dogs who may be prone to tracheal collapse to help reduce the risk of collar damage. When a dog pulls on a leash that is attached to their collar, it causes the collar to forcefully press against their trachea. If the dog is using a different type of leash, such as a leash that attaches to a harness rather than a standard collar, then there is no external pressure put on the trachea. 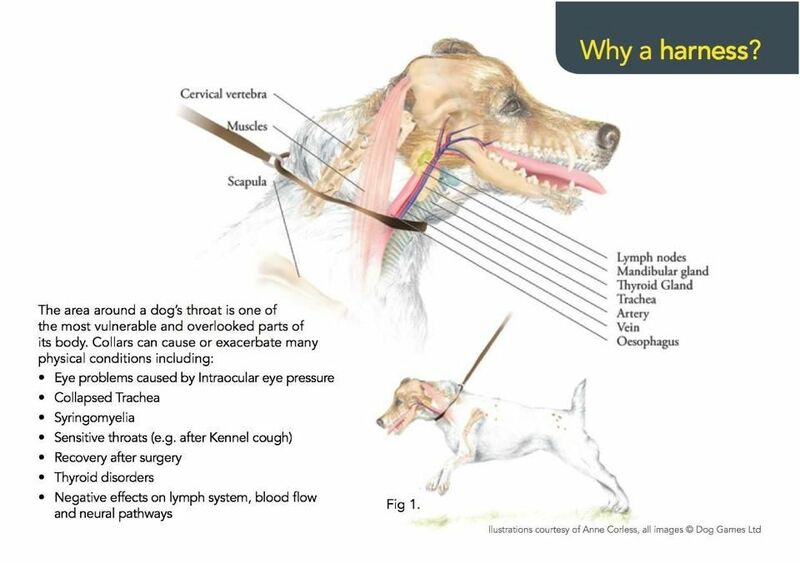 Some dogs may be genetically disposed to tracheal collapse regardless of what you do, but taking the above steps can help reduce the overall risk of tracheal collapse from collars.